We have established our presence in the market as a leading manufacturer and supplier of premium quality Hot Code Printer. Manufactured using components that are procured from reputed vendors of the market, these printers are highly acclaimed for their smooth and efficient operation. These are used widely in various industries for printing of bar codes. The unique design of these products facilitates direct use on the products that are supposed to be labelled. We supply these to clients within the specified time period. Incorporated in 2014, we, Cocoon Print Pack Systems, are manufacturing and supplying the best quality Printing and Packaging Machines. Inclusive of Pad Printing Machine, Box Strapping Machine and Carton Tapping Machine, we offer a diverse range of machines. To provide the most advantageous machines to our customers, we keep adapting the latest technology for manufacturing. Along with their high printing speed and less ink consumption properties, our printing machines are much appreciated for being suitable to print on surfaces of any shape, texture and composition. Also, coming with their high efficiency and easy to use properties, our hot air guns are well-appraised. In order to manufacture the latest and the most advantageous machines for our customers, we are equipped with a sufficient infrastructure. We have divided our huge infrastructure into various units to ensure all the processes take place in the most efficient manner. At our manufacturing unit, we make use of the latest technology machinery to manufacture the machines as per the industry set norms. 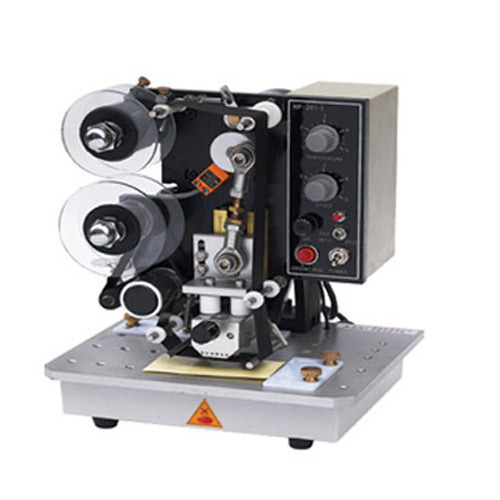 Also for the quality of these machines, we procure the components from our trusted and reliable vendors. After being manufactured, these machines undergo various quality tests to ensure a defect free range. For providing the high quality printing and packaging machines consistently, we are able to cater a huge clientele group.